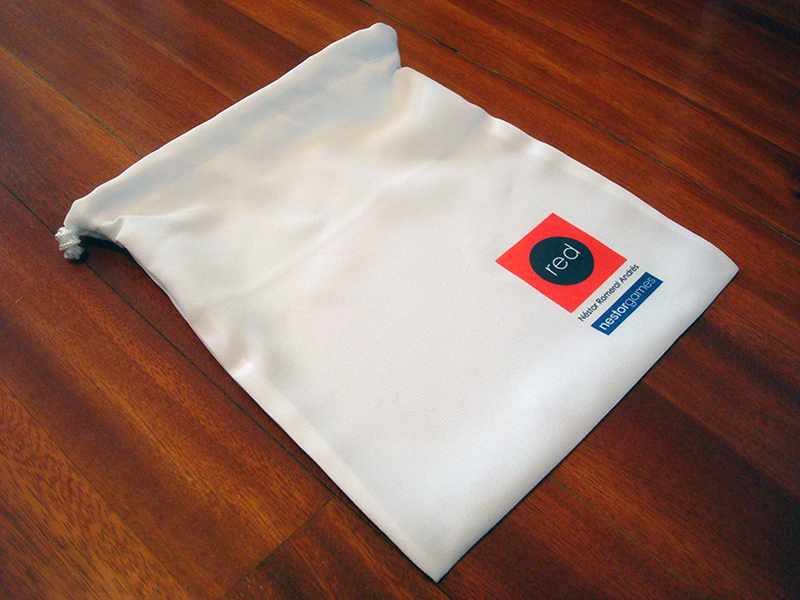 This is the Deluxe Edition of RED, a board game for 3 players by Néstor Romeral Andrés. 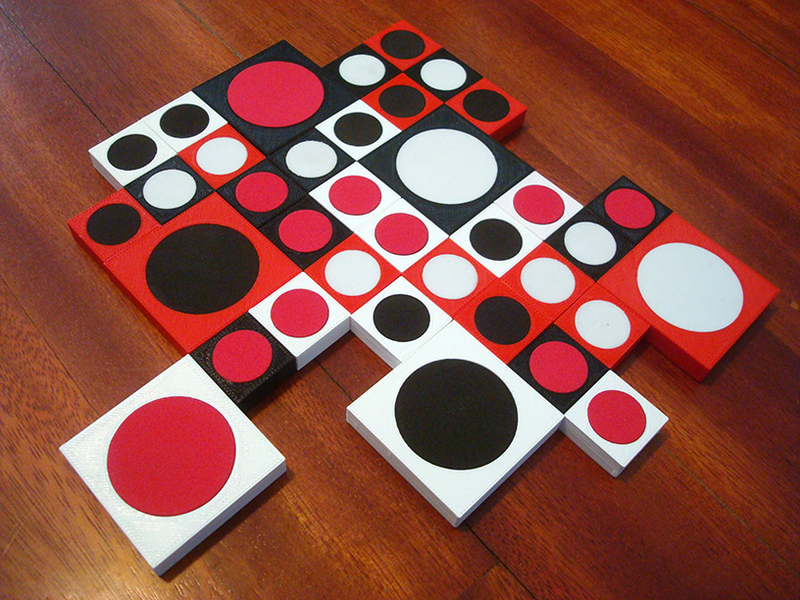 RED is a three-colored tile-laying game for three players. It's a member of the RED-BLUE-GREEN trilogy. 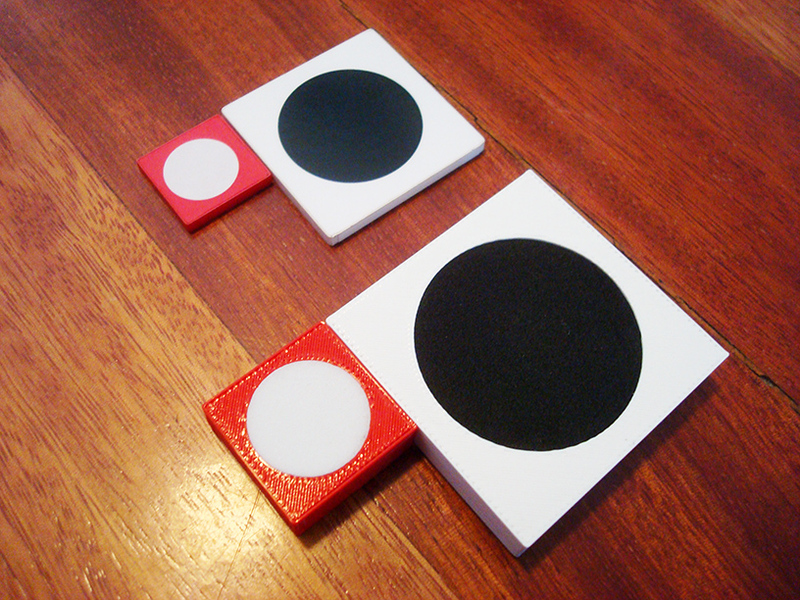 The three colors in the game are black, white, and red, and each player will be a different color. Each tile has a background color and a different-colored circle in the middle. Players place tiles on the table trying to connect groups of their border color and groups of their circle color. 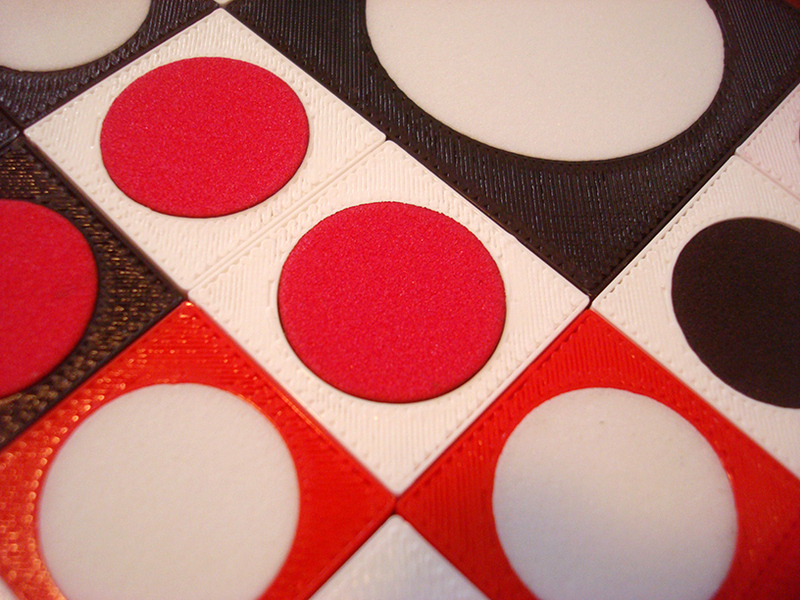 Components: 36 3D-printed plastic tiles with foam circle cores inserted, 3 counters (white, black, red), bag. The small tiles are 1 inch side (2,5 cm). See size comparison with the standard edition below. You can also purchase the standard edition here, but it's not as awesome. If you've purchased the standard edition in the past and with to upgrade, please contact me and I'll offer you a discount. You can now download the Android version!